Jurassic World Deluxe T-REX Exclusive Tableware. The realistic prehistoric design is featuring the most famous predator Tyranosaurus rex from Jurassic World. "Kids friendly" prehistoric dinosaurs Brachiosaurus, Triceratops, Stegosaurus and Stegosaurus are attached on T-rex Happy Birthday PHOTO Banner. 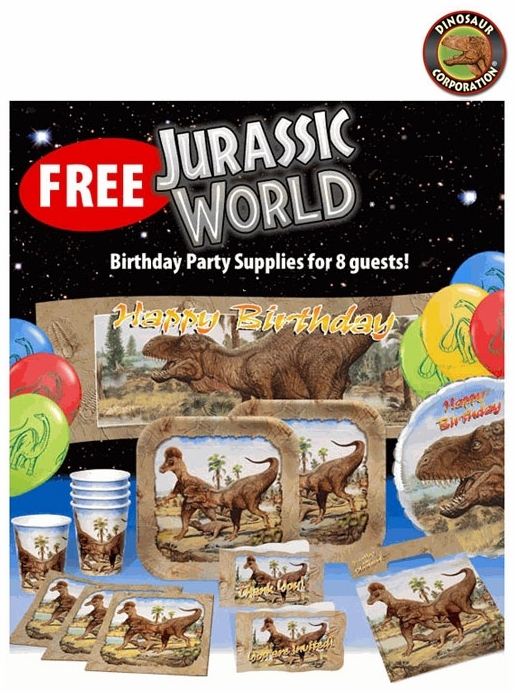 1 T-rex Tableware for 8 Guests with $99 order+. Limit 1 set per customer.